We’re staring down the barrel of an opioid epidemic that’s destroying an entire generation. Far too many people are struggling with the use of drugs like heroin and prescription painkillers. This doesn’t always start with the use of illicit drugs, it can start with a legitimate prescription. If you’re looking for a solution, methadone recovery stories are real. This was how I was first introduced to prescription painkillers. I was working as a CNA in a hospital when I experienced a herniated disk in my lower back. The pain was unreal, and it gave way to symptoms of sciatica. If you’ve ever experienced this type of pain, then you can understand how all-encompassing it can be. I ended up in the emergency room, and after receiving an injection of Demerol I experienced immediate relief—and a euphoria that I’d never experienced before. I left the hospital with a prescription for Vicodin and a referral to a specialist. Being a larger guy, I had a higher dosage. They couldn’t operate due to my weight and continued to prescribe me painkillers month after month. Every time that the doctor suggested that I wean myself off the narcotics, I’d find another excuse to keep taking them like clockwork. I knew that I was addicted on some level, but I justified it by convincing myself that I had a legitimate injury. My doctor knew that I was addicted before I was ready to admit it and tried to cut back on my dosage. By this time, I was physically addicted and psychologically hooked. I had no desire to stop using, and I started to go from doctor to doctor in an effort to get more painkillers. I wasn’t able to keep up with my habit, and I started to take whatever I could get my hands on. I stole pills from friends and family, asked others to get prescriptions for me, and then started buying prescription pills off the street. It seemed like it was everywhere. It changed me. My drug use changed the way that I saw myself, and I just kept justifying it with my old injury. Long after the physical pain was gone, I still needed the drugs. 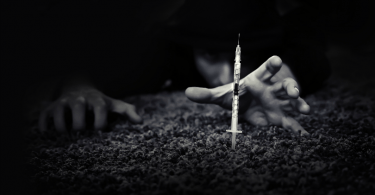 The first time I injected heroin, I was in my 30s. That’s all it took for me to be hopelessly addicted. That rush and then the afterglow that came with the introduction of the drug into my body. After developing a tolerance, I needed more and more. I stopped using to get high and just started to keep from feeling the withdrawals. I needed help, and I got it after my family staged an intervention. With methadone recovery from my addiction became real. Now, I’ve been free from the use of illegal drugs for almost 2-years. I take methadone but have reduced the dosage to nearly nothing. Methadone is a maintenance medication used to stop addicts from experiencing opiate withdrawals. It can help us to stop using illegal drugs and some doctors use methadone as a short-term detox drug. Methadone itself is a narcotic, but it works in a different way than many of the illicit drugs that addicts become hooked on. It’s very important to work with a licensed clinic when obtaining any type of maintenance medication. Most states facilitate these programs and carefully monitor them. For people like us to get these types of medications, we need to commit to a rehab program and arrive at a designated destination each day for our medication. This is just another way to get high. 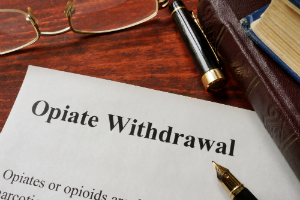 Many of us who become extremely addicted to opioids like heroin or prescription painkillers will keep using just to avoid the withdrawal symptoms. Methadone stops these withdrawal symptoms and prevents further drug use from having the same euphoric effect it once did. Maintenance medication programs are only used under very specific circumstances. You’ll need to go through a rehab program and be approved for this type of treatment. It’s important to trust your doctors and your rehab support staff. Be completely honest with them, and don’t be afraid to take that next step. Once you’re approved for medication-assisted treatment programs, you’ll need to get in touch with a locally licensed facility. These aren’t necessarily available everywhere, and you may need to see a private psychiatrist to start your medication regimen. For the most part, these facilities will issue you a single dose of methadone each day. This is usually enough to stave off withdrawal symptoms and to help you reduce and resist drug cravings. 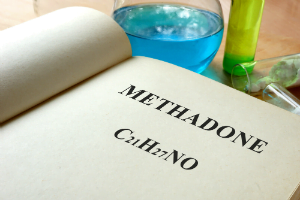 People who remain on methadone for longer than two weeks have an 80 percent chance of staying with their methadone maintenance treatment for six months or longer. And those who utilize methadone maintenance on a long-term basis have favorable outcomes than those on a short-term basis. In fact, it is recommended by the National Institute on Drug Abuse (NIDA) to be on a methadone maintenance treatment program for a minimum of one year for best outcomes. I’ve discovered that I don’t feel high when I take this medication, but it does help me to stop thinking about using drugs like heroin or prescription painkillers all the time. It allows you to be free of the all-consuming addiction that ran your life for so long. Methadone is a medication that should only be used under very specific circumstances. Not everyone can safely use methadone without abusing it or returning to their drug of choice. Only a person who’s actively engaged in rehab and who truly wants to seek sobriety should take advantage of these programs. For many of us, it’s very easy to fall back into our old ways. If you aren’t ready to stop using drugs, then don’t put yourself in a position to keep using things like methadone. It’s also important that you remain extremely honest with the person who’s administering the drug. If you feel like the dose is too high and it has an adverse effect, then you need to tell them immediately. Getting this right can be the difference between a relapse and long-term sobriety. 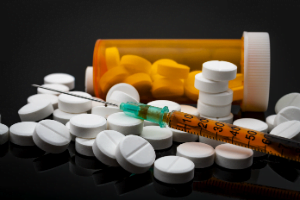 Opioids kill more people each year than any other cause of accidental death. This is a serious number and one we need to start paying attention to. If you’ve ever experienced addiction, then you understand just how deep this rabbit hole goes. It’s very easy to fall into a habit and to continually justify it to yourself. We all deserve a chance at a better life. It’s just a matter of whether you’re prepared to reach out and take it. So, reach out at (855) 976-2092 and talk to a professional today. The National Institute on Drug Abuse Blog Team. (). Prescription Pain Medications (Opioids). Retrieved from https://teens.drugabuse.gov/drug-facts/prescription-pain-medications-opioids on February 13, 2019.